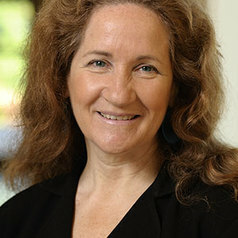 Katherine S. Newman, is a widely published expert on poverty and the working poor and an experienced academic administrator. She joined Johns Hopkins in September 2010 as the James B. Knapp Dean of the Krieger School of Arts and Sciences. She is co-author of Rampage: the social roots of school shootings, published in 2004, which was based on extensive interviews with the parents and siblings of shooters three years after the events. Newman was previously the Malcolm Stevenson Forbes '41 Professor in the Woodrow Wilson School of Public and International Affairs and the Department of Sociology at Princeton University, where she had taught since 2004. From 2007 until her departure from Princeton, she directed the university-wide Institute for International and Regional Studies. She founded and chaired the university's joint doctoral program in social policy, sociology, and politics and psychology. Previously, during eight years at Harvard University, she was the first dean of social science at the Radcliffe Institute for Advanced Study. While there, she designed a university-wide research program in the social sciences, promoting collaboration among faculty from the arts and sciences, public health, medicine, law and education. Newman also has served on the faculties of Columbia University and the University of California, Berkeley. Newman has focused much of her scholarly work on the lives of the working poor and mobility up and down the economic ladder. She also has investigated the impact of tax policy on the poor, the history of public opinion's impact on poverty policy, school violence, and the impact of globalization on young people in Italy, Spain, Japan, and South Africa, among other issues. Her forthcoming book (in collaboration with Ariane DeLannoy) is After Freedom: The Rise of the Post-Apartheid Generation in Democratic South Africa (Beacon Press, 2014), an analysis of the political aspirations and social dilemmas of women and men now in their 30s, for whom apartheid is a childhood memory. The Accordion Family (Beacon Press, 2012) examines global competition in youth labor markets and the prolonged stay in the natal home that is unfolding as a result in Western Europe, Japan, and the United States. In 2011, Newman published Taxing the Poor: Doing Damage to the Truly Disadvantaged, an analysis of the impact of regressive taxation on poverty-related outcomes. Newman graduated from in 1975 from the University of California, San Diego, where she majored in sociology and philosophy. She earned a PhD in anthropology in 1979 from the University of California, Berkeley.